Symptoms of chondrosis of the cervical spine, frequent headaches, blurred vision, dizziness, tinnitus, stiffness and numbness of the hands, limitation of neck movements. To cure chondrosis is impossible, as is the process of degeneration in the intervertebral discs, but to detain, to arrest this process and to minimize the pain symptoms really. Perform special exercises. Doctors recommend movement as a major preventive and therapeutic agent. In acute do special exercises feasible, in the normal state – gymnastics. Isometric, isotonic exercises and stretching postures are the main means of treatment of this disease. They also contribute to the emergence and consolidation of correct posture. 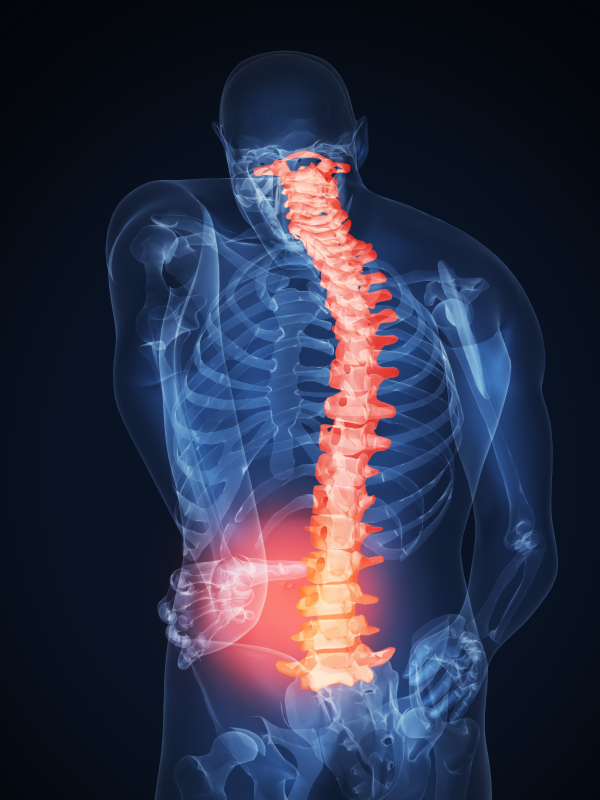 Uniform redistribution of load on the spine reduces pain and alleviates symptoms of chondrosis. Isometric exercises allow you to train the muscles without changing the position of the body. Sit up straight, lean back on the chair, lower and relax your shoulders. Slowly pull your head back, "throwing" it as far as possible. Hold this position for 30 seconds, then turn your head to the left – 30 seconds right – 30 seconds. Put your hands on your knees. Keep your head still, chin down. Alternately lift the shoulders, trying to get shoulder to ear. Do this 10-15 times. In isotonic exercises use internal body resistance. Sit up straight, lower it and relax your shoulders. The purpose of the activity in the mutual opposition of the head and hands when the external stillness. Woven fingers push down on the back of the head, while trying to tilt your head back. Tilt the head forward, resting his forehead on woven fingers, strengthen the pressure head on hands, hands, resist the head tilt. Each exercise is performed for 10 seconds. The result of gymnastic exercises should be relaxing nerve fibers and the increase of blood circulation and therefore oxygen to the brain cells. With both hands RUB ears, especially earlobes. With a force push on your temples and forehead (above the eyebrows and hairline). It activates the flow of blood to your brain. Stretching postures are used in the treatment of chondrosis gymnastics. Complex of such exercises is the doctor, as a rule, they are simple and can be performed at home. Treatment of chondrosis requires systematic and constant control of posture.